& auxiliary materials are safe and meet with hygienic quality of the products is guaranteed.The inspection and test done by Hygiene and Epidemic Prevention Authority shows that the products meet with national food hygienic standards.The products are green construction materials and can be used in drinkable water piping systems. The pipes can be used for a long time when working water temperature is 70℃.The temperature for short use can reach 95℃ and softening temperature is 140℃. Except for few oxidants,the products can withstand the corrosion from many chemicals nor be rusted or corroded.they will not breed bacteria growth or be corroded electrochemically. The lifetime can reach over 50 years, when the piping systems operate under 70℃ and working pressure of 1.0Mpa. the lifetime under low temperature can reach 100 years. Connection is done through thermal fusing, one adapter can be connected to metal pipes and water facilities within a few seconds. High quality stainless steel or nickel plated copper embedded pieces are used safely and reliably. Compared with the price of galvanized pipes, PP-R pipes are more inexpensive and easier to install. 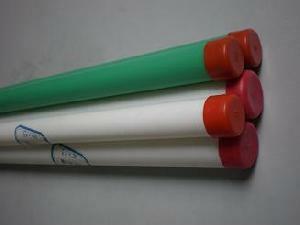 Business focus: Ppr Tube, Hdpe Tube, Pex-tube, Fittings, Sanitary Ware.